What does Canada’s guaranteed retirement plans look like? | Save. Spend. Splurge. Home › Money › What does Canada’s guaranteed retirement plans look like? What does Canada’s guaranteed retirement plans look like? Retirement isn’t a universal, basic human right that is afforded to everyone – it is a privilege. If you haven’t saved enough, you simply can’t retire, and you will have to work until the day you die. CPP takes money out of your paycheque, so technically it isn’t “free”, and acts a lot like Social Security in the U.S. Frankly, as it all goes into a pot, no one knows who has contributed what, and you’ll be lucky to get anything you’ve paid into it at the end in my opinion. The average you can “expect” to get (that is, if you worked and had an earned income to pay into this CPP pot) is $10,614.96 or $884.58 a month. OAS is something that Canada pays out in tiers, and is the so-called, amazing “guaranteed retirement” we can all look forward to. The only thing is that you have to qualify for either a full or partial pension. And look what just happened? 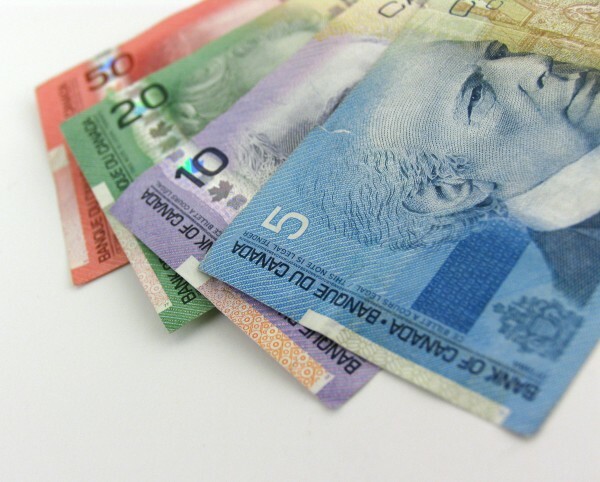 The Government of Canada has introduced measures to gradually increase the age of eligibility for the OAS pension and the Guaranteed Income Supplement (GIS) between the years 2023 and 2029, from 65 to 67. OAS which will work out to: $514.56 month if you qualify. GIS is for people who have very low incomes and need a supplement and if you qualify, it is $499.48 a month. ALTOGETHER NOW! WHAT DOES IT GIVE SOMEONE EACH MONTH? The only thing you do get, is your CPP because you paid into it like Social Security. The rest? It depends on how poor you really are. If you earn about $12,000 or less as a single person, you qualify for OAS and/or GIS in addition to your CPP (if you had any). If you are in a couple and you earn $16,000 together, then you qualify for OAS and/or GIS in addition to your CPP (if you had any). If you didn’t save ANYTHING at all for retirement, you can expect about $1014.04 a month, but you have to qualify through all the hoops. If you saved enough money for retirement, you may be eligible for a big fat nothing. If you have saved TOO much money for retirement, you get penalized in the sense that your savings disqualify you for your cut of what you saved into the system, and benefits others who haven’t. IS THIS LOW-PAYING AMOUNT WHAT YOU REALLY WANT TO AIM FOR IN RETIREMENT? I mean I know it’s a nice comfort (a bit false, as I am cynical) to imagine that if I saved absolutely bupkiss for my retirement, I would still get about $1000 a month to try and pay for my expenses, but this is aiming pretty low. I am aiming to only have the government pay for my retirement when I turn 65 67. I REALLY, REALLY want to experiment and see if I can start living on $500 a month when I get old, cranky and unable to pay for proper healthcare. Is this really the scenario you want to aim for, even before coming out of college? Don’t you want to try and do better for yourself so that you DON’T qualify for such low-income programs especially if you are able to pay $16,000 in tuition per year to obtain a degree that presumably will nab you a job that will allow you to save for your own retirement? I hope I qualify for food stamps, and some shelter living one day! I would REALLY love to stand in line at the Food Bank and pick through cans of mystery vegetables and meats, and then go back to shared accommodations in some homeless shelter. You know why? Because I WOULD love to get me some FREE FOOD and FREE RENT. I mean think about $500… no, let’s talk about $1000 today to be generous. Can you live on $1000 a month? My rent alone today would be about $700 for a studio, living in a cheap part of Canada. That’s 70% of my “guaranteed retirement” going to just housing alone if I were 67 years old. Now let’s assume I take on a roommate and/or can get that down to $350. That leaves me $700, but I have to pay for..
$295 to pay for taxes, any healthcare bills, basic clothing and other necessities that may arise. Universal healthcare in Canada is nice, but it doesn’t cover everything; for instance, dental is not covered and eye insurance is not covered. Even now as a freelancer, I pay for all of that out of my own pocket today. Then let’s not forget inflation! Assuming the government doesn’t raise that amount in line with inflation, $1000 a month after 29 years is not enough as an income to live it up. I don’t know about you, but I’m not going to aim for the lowest possible retirement monkey bar I can see. I will qualify for $0, because I am planning on taking my own retirement into my hands, and changing my future with my present actions instead of sitting around and whining about my situation. I don’t work for a company, so I don’t have ANY kind of company pension to fall back on. Those who do work for a company, may have something similar to a 401K where you contribute a sum, and the employer matches it either 50% – 100%, up to a certain percentage of your total income. That’s quite generous, but not applicable. I work for myself, and as a result, I make money and I save it. It’s pretty simple to understand, and you should be doing it too, which is why I’m telling you all of this. I have no one to rely on but myself, and that’s the same situation as in the U.S., no? HOW ARE YOU HANDLING YOUR RETIREMENT? In the US, average SS payout is around $1300/month (avg $2,100/month for a couple). That plus Medicare plus a paid off house (since home ownership is so common down here), I imagine could actually be a lean but pretty okay retirement. Especially if you go the reverse mortgage route. That said, I plan to save pretty vigilantly over the next 10 or so years so I can have roughly a $70k/year budget when retired. Also, in the US, small businesses can set up SEP IRAs to disburse money to tax-advantaged accounts for employees. They’re more common for small businesses since the fees are lower than for 401ks. Are you able to set something like that up for your solo-owned business in Canada, maybe? I could.. I will look into that, thank you. And it’s worse in Romania. Right now we have a lot of retirees who are getting a small pension (they’re still getting it though). Some have retired 30 years ago and still get their monthly pension (back then people retired at 50). My generation will probably have no pension (or something very small), so we’re gonna work till we break down (fortunately we enjoy our small and not-stressful businesses). We’re also planning to move out of the city into a small house we just purchased and we’ll probably rent our 2 apartments. I hope to never reach that level of needing help..